Join EnergyBin to buy and sell new, used, excess, refurbished and hard-to-find solar panels, inverters, racking, batteries and more at 20-70% below cost from thousands of members. What do solar companies have to say about EnergyBin?
" EnergyBin works. Within 24 hours, we finalized our first major sale. To me, that’s eye-opening. It is business-changing. EnergyBin is a genuine tool for success for Solarflexion. " " EnergyBin works. Within 24 hours, we finalized our first major sale. " 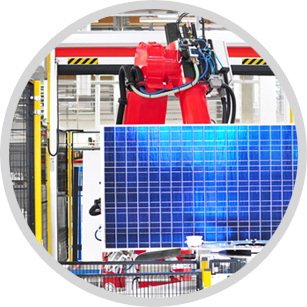 " We saved $0.07 PPW, a profit of $7,000, on our first Tier One 340W module purchase through EnergyBin. 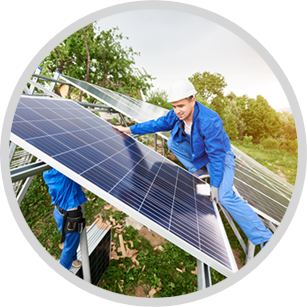 As a small company, we're able to access the entire supply chain for our solar equipment needs. The connections and cost savings easily justify the value of our EnergyBin membership. " " The connections and cost savings easily justify the value of our EnergyBin membership. " " Recouping my EnergyBin membership cost was easily done within my first deal. Not only did we make a sale and a happy customer, we were able to put ourselves into a position for new business opportunities. " " Recouping my EnergyBin membership cost was easily done within my first deal. " " Once that 25-year old system has reached the end of its life and components are failing, it's very possible you can find replacements on EnergyBin where contractors can list solar equipment they're looking to sell. " " When components fail, it's very possible you can find replacements on EnergyBin. " " EnergyBin has provided a platform where we are able to meet and connect with the solar community. Upon signing with EnergyBin, we were able to clear our excess stock in 6 months. " " Upon signing with EnergyBin, we were able to clear our excess stock in 6 months. " " Aside from offering a good supply of customers we hadn't connected with before, EnergyBin provides us with an in-depth view of supply and demand for many kinds of panels in the market as well as helps us keep tabs on surplus pricing. " " EnergyBin provides us with an in-depth view of solar equipment supply and demand. " " Being an EnergyBin member allows us to easily support our sales channels and distribution. " " In less than a year of being an EnergyBin member, I have tremendously increased my revenues. It didn't take long to connect with other members who were ready to deal. " " In less than a year of being an EnergyBin member, I have tremendously increased my revenues. " " I instantly receive quotes from multiple suppliers, which holds suppliers in the industry accountable to fair and transparent pricing. " " I instantly receive quotes from multiple suppliers. " 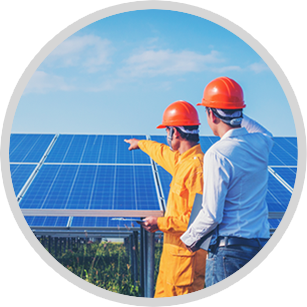 " Using EnergyBin for my solar equipment procurement needs has shown me that there are powerful tools out there that are easy to use, will save me time and get me what I need when I need it. " " EnergyBin is a powerful tool that is easy to use and saves me time. " " The functionality of the EnergyBin website and the ability to view inventory all over the U.S. at the push of a button is a great feature that allows us to service our customers quickly and efficiently. " " EnergyBin allows us to service our customers quickly and efficiently. " How will you benefit from EnergyBin? 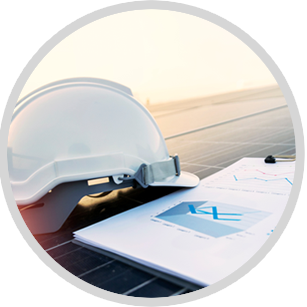 Network with other solar companies and fulfill your clients' solar equipment needs. Connect with new buyers and position your brand to gain a competitive advantage. Sell unused solar panels or equipment, and get the best bulk deals for upcoming projects. Get the best solar equipment prices, and locate hard-to-find replacement parts. Build new business relationships on an exclusive network of solar companies. Search pricing on major brands at or below wholesale solar levels. Buy and sell new, used, excess, refurbished and hard-to-find solar equipment. Gain real-time market intelligence on pricing, supply and demand. Send and respond to quotes for single parts and full systems. Enjoy ongoing support from dedicated account representatives.